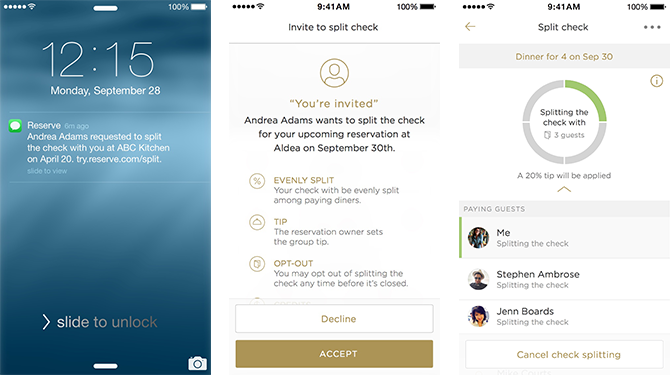 Restaurant-booking app Reserve today announced a useful new feature: Now you can automatically split the bill with your party without having to fuss with, ugh, math. It’s similar to what other on-demand apps like Uber have done with splitting the tab amongst your friends. Since Reserve already has your credit card information, the charge automatically applies as soon as you’re done with the meal. 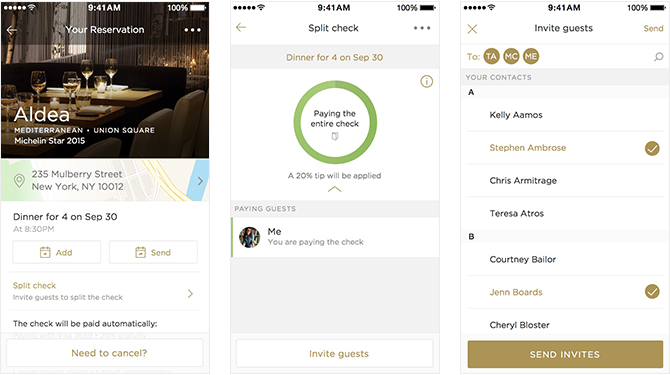 After you book a restaurant table through Reserve, you’ll have the option of selecting friends with whom to divide the bill. Your friends will then have to accept to pay in order for the split to take effect. Reserve divides the bill evenly between the parties that agree to pay, with tax, tip and Reserve’s $5 booking fee automatically included. If your friends don’t accept in time before the meal, well, that’s on you to figure out afterward. Evenly splitting the check might not be the solution for you if you’re the kind of person who gets mad when someone orders several cocktails while you’re sticking with water, but Reserve says it’s open to feedback so perhaps a more refined share option will arrive in a later update. Reserve currently operates in Boston, Los Angeles, New York City, Chicago and San Francisco. The app is free to download on iOS and Android.